Maria Torres put Puerto Rico’s flag atop the leaderboard Thursday at the Evian Championship. 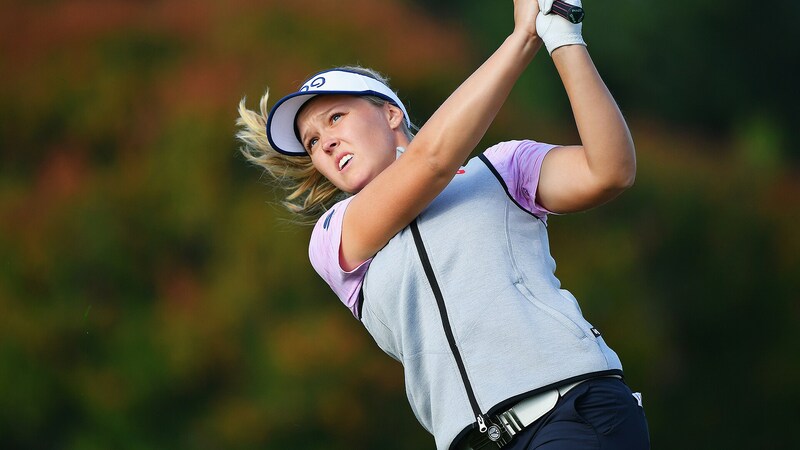 The LPGA rookie’s move was well timed, giving the U.S. commonwealth a boost of pride with the one-year anniversary of Hurricane Maria’s devastating landfall looming. Torres was huddled with her family in San Juan when the hurricane hit on Sept. 20 of last year, thrashing their apartment with 155 mph winds. While the family emerged safely, they endured the aftermath, with no running water for two days and no air conditioning for a week. It was the most devastating natural disaster on record in the island’s history. Torres said her homeland is still trying to rebound. Torres, a former University of Florida standout, took a share of the first-round lead with a birdie at the last. She stuffed her approach to 3 feet at the 18th to open with a 6-under-par 65, equaling the start of Spain’s Carlota Ciganda. It’s the first time Torres has led or shared the lead after any round of an LPGA event. There is some formidable competition chasing. Austin Ernst is one shot back while So Yeon Ryu, Brooke Henderson and Nasa Hataoka are two back. Inbee Park, In Gee Chun, Georgia Hall and Mo Martin are major champions among the pack just three back. While Evian has been scorched with record scoring in the past, birdies weren’t easy to come by on Thursday. Under blue skies and a warm sun, Evian Resort Golf Club was playing firmer and faster than players have been accustomed since its move to the rainy September season. Rolex world No. 1 Sung Hyun Park shot 77. She opened with a 63 last year. “Nothing went well,” Park said. Hall, who is seeking to win back-to-back majors, was delighted to finish bogey free. “You have to be a good putter to play well around this golf course,” Hall said. Torres climbed the leaderboard with six birdies, an eagle and two bogeys.